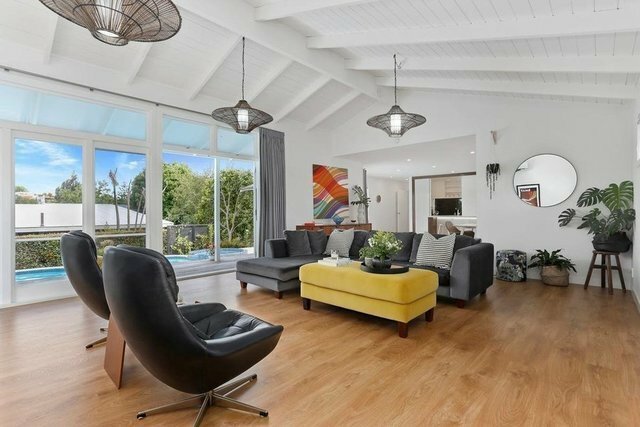 Set on a sun-drenched 809m2 section with pretty views to the park sits a totally renovated bungalow featuring four bedrooms, two gorgeous bathrooms plus a stunning open plan kitchen (with butler's pantry) living and dining area that flows seamlessly to a beautiful pool/spa retreat. There's a downstairs area that's being used as a rumpus room plus a single garage. The home was meticulously refurbished in 2014 - rewired, re-gibbed, new insulation, new roof. Beautifully warm in winter and cool through summer with the addition of an efficient woodburner plus four heat pumps. Perfectly presented; just move in an enjoy!